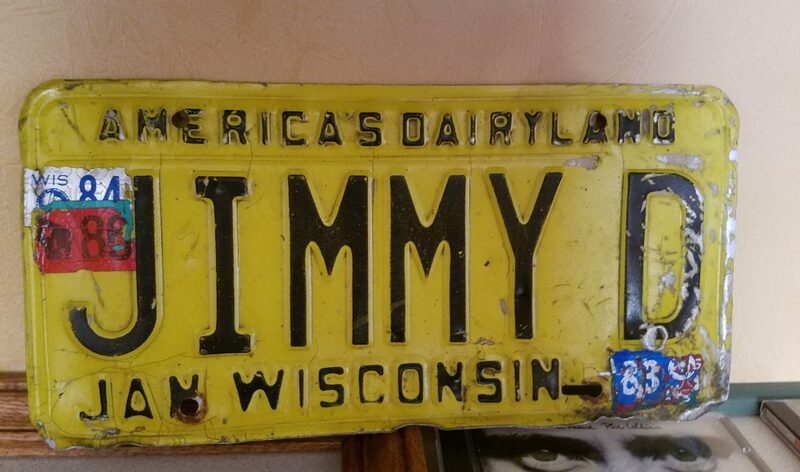 We went to Jimmy’s today to visit Steve Davidson​ and bring him some boxes. I was handling it really well, after all Ginny, Nancy Crow​, and I managed a whole afternoon at Jimmy’s, helping Steve, with no waterworks. But today, when Steve said that I could have this, there were tears and lots of hugs. Thanks dear, it means the world to me. I sure do remember that plate. Nice. I had a look to see if I could find a shot we haven’t all seen. I think I found one, shot at Jimmy D’s while he was making a movie for a film class, I believe. What’s the girl’s name? Wasn’t she Dave Wheaton’s girlfriend at the time? Sue Strokis. Yes, she probably was. They were engaged for awhile. Catching up on your replies? I don’t think I’m privy to that joke…which is probably a good thing.